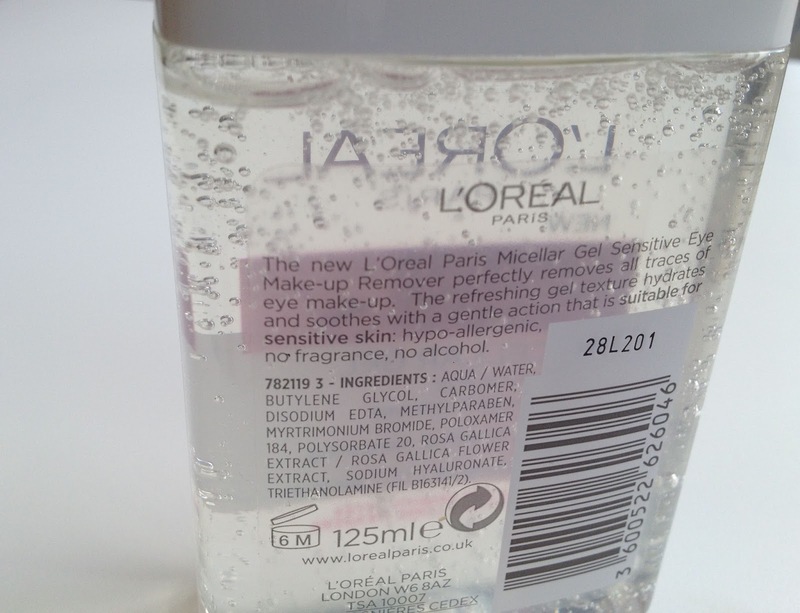 I have been raving about micellar water as a fantastic make up remover for months. It started when I discovered the L'Oreal Skin Perfection Micellar Water. I reviewed it fully HERE but I was really impressed with how it removed even waterproof eye make up without scrubbing. 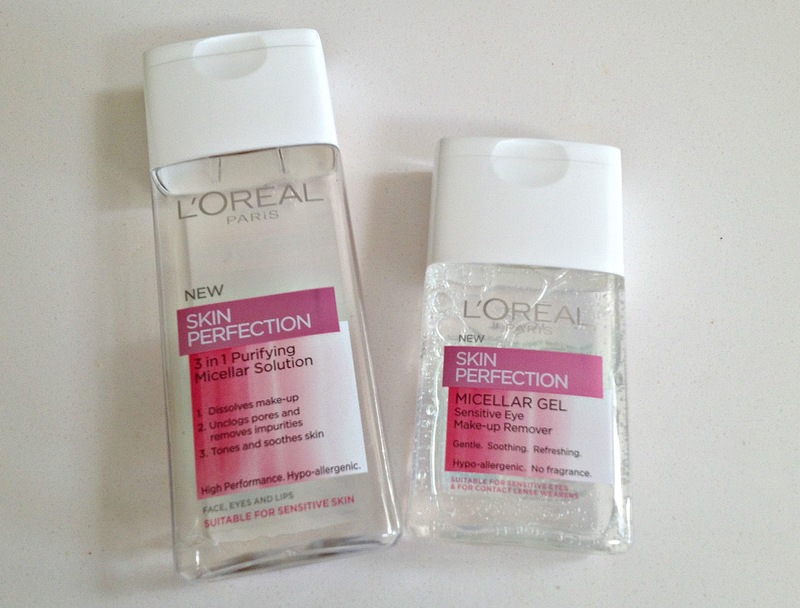 So when I saw the new L'Oreal Skin Perfection Micellar Gel in the supermarket last week, I bought it straight away! Seeing as I rely on my micellar water to remove eye make up I really liked the idea of gel rather than the water solution. 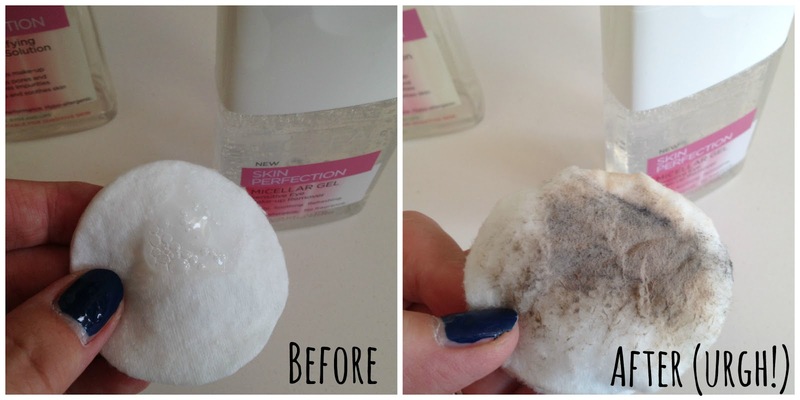 I have always been an advocate of how effective micellar water is at removing make up without scrubbing at your eyes with cotton wool. But I will admit that as a force of habit I do tend to wipe at my eyes with the cotton wool pad - I know I shouldn't but it just happens! I thought that gel was a great idea because it would really coat my lashes and dissolve mascara and eye liner. Sure enough - I was right! It feels gentle and cooling on my eyes too and because I can feel the gel on my eyes it stops that urge to wipe and pull at the skin around my eyes in the process. So far so good, but unfortunately it isn't without some issues. First of all, you have to be careful when you put the gel into the cotton wool pad. The gel isn't as thick as you might think and comes out of the bottle quite fast. The first few times I used it I accidentally poured far too much of it out. It is a smaller bottle than the micellar water solution, so I had to learn to ration myself or it would be gone in no time! The other thing that I noticed was that the gel did tend to smear eye make up around and give me panda eyes. This is not good and the original micellar water never did this. I don't know why this happens - the gel is just as effective at removing make up but it just doesn't seem to hold onto it the way the water solution does. Perhaps the water soaks into the cotton wool more taking the make up with it, but the gel sits on the surface and smears traces around. So really to get the best out of it you should put the gel on a cotton wool pad and hold it against your eye for a few seconds - but do not wipe - or it might smear! L'Oreal Skin Perfection Micellar Gel in action - the gel on the cotton wool and after it was held against one eye for a few seconds. 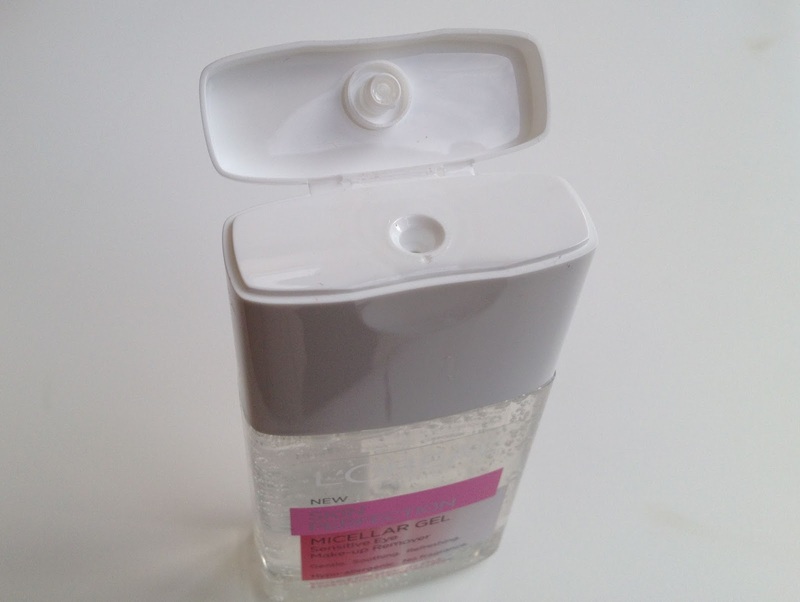 I notice that the gel is marketed specifically as a sensitive eye make up remover where as the original water solution is for eyes, face and lips. I'm not why this is, although I did recently write a post about whether a micellar water cleanser is sufficient for proper cleansing (see HERE). I still think that either the original micellar solution or the gel offer a really good budget option for effective eye make up removal. As a lover of eyeliner and waterproof mascara it is definitely working for me and stopping those annoying smudges on my pillow! When I bought it the L'Oreal Skin Perfection Micellar Gel was £4 for 125ml, but Boots currently have a L'Oreal offer on so it is only £2.66 HERE. 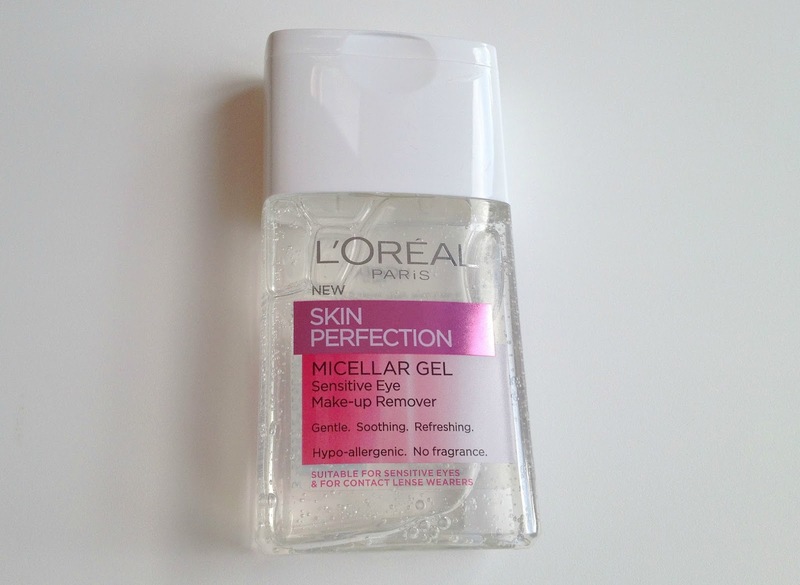 The original L'Oreal Skin Perfection Micellar Solution is £3.33 for 200ml HERE. What is your favourite eye make up remover? I actually like to use them together. First the gel, and then the water. Works like magic!